The choice of many gold medallists and record breakers alike, this Speedo LZR Racer Elite 2 Closedback Kneeskin uses the latest racing technology and is made from a lightweight four-way stretch fabric to provide a second-skin fit that feels tailored to your body shape. Delivering full body compression to optimise your body position in the water, the LZR Racer Elite 2 uses newly-improved LZR Pulse+ Fabric technology to increase durability and water repellency by 40%. 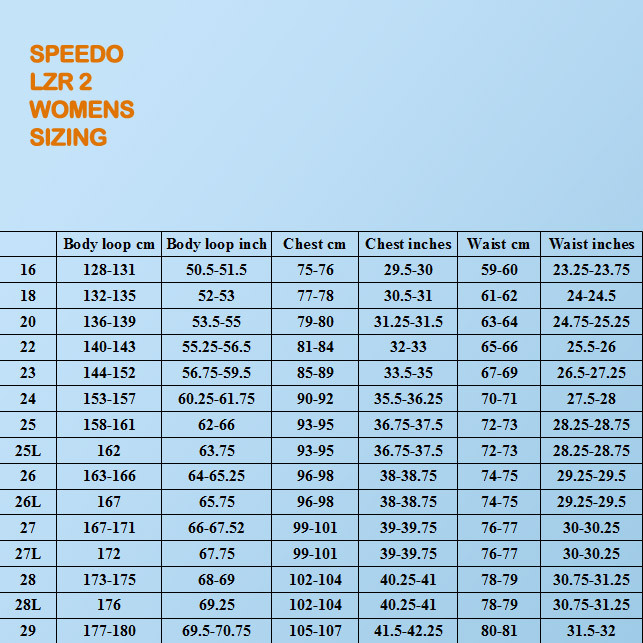 Worn by gold medallists, record breakers and the world's leading swimmers, the Speedo Fastskin LZR Racer Elite 2 is the world's most successful racing suit. Speedo have taken this winning formula and built upon it, upgrading the LZR Racer Elite to create an even more technologically advanced suit. With lightweight, four-way stretch fabric, its second-skin fit feels almost tailored to your body shape. Delivering full body compression to optimise your racing form and promote the most streamlined body position possible, the LZR Racer Elite 2 uses the newly-improved LZR Pulse+ Fabric technology to increase durability and water repellency by 40%. This kneeskin features a closedback design for greater coverage, along with Speedo's stunning blue and copper 'lightning' print.